On average, people spend two hours dreaming each night (Whyte, 2017). When I read this statistic, I was doubtful. I don’t remember two hours of dreams I’ve had over the course of my entire life. 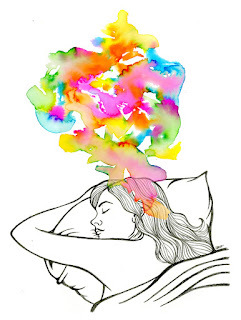 The exact reason why dreams are quickly forgotten is not yet fully understood; there may be decreased levels of norepinephrine during sleep, or the spontaneous type of thought that occurs during sleep may be more difficult to process and remember than more focused cognitive processing that occurs while an individual is awake (Kookoolis et al., 2010). But haven’t you had dreams that you’ve wanted to relive again and again? What if you could wake up in the morning and watch a recap of your night? In the Gallant lab, at the University of California at Berkley, researchers have developed “The Brain Viewer,” a technology that reconstructs images based on neural activity after viewers watched cropped and magnified samples from a screen showing high-resolution films. Right now, reconstructions of faces are low resolution, such that vague outlines of a person can be recognized, and reconstructions of objects or animals are even lower, appearing as blurry patches (Nishimoto et al., 2011). As the research progresses, lab members hope to eventually reconstruct memories and even dreams. Members of the Gallant lab believe this technology can eventually be applied to dreams because both memory reconstruction and dream reconstruction are visually dynamic, meaning there is constant change in perception and neural activity during these processes (Nishimoto et al., 2011). The emergence of such technology raises the possibility of several neuroethical dilemmas, such as privacy and informed consent if these experiments were to eventually be performed in participants in a non-waking state of consciousness. The definition of consciousness is complex and can be defined in several ways, such as by wakefulness or awareness of thoughts and perceptions (Koch, 2018). Consciousness may also be a measure of an individual’s conscious content: the thoughts and perceptions of an individual (Jacobson, 2015). During rapid eye movement (REM) sleep, when dreaming occurs, brain activity looks more similar to wakefulness than during other stages of sleep, and there may be a certain level of consciousness present during this phase of sleep. In an article by Ho Ming Chow and colleagues published in 2013, consciousness during REM was described as a “third state” of consciousness, since activity is similar to an awake state but there is significantly decreased awareness to the outside world. Because this is a unique state of consciousness, the person may exist in a more vulnerable state of being, and this may create new ethical concerns. 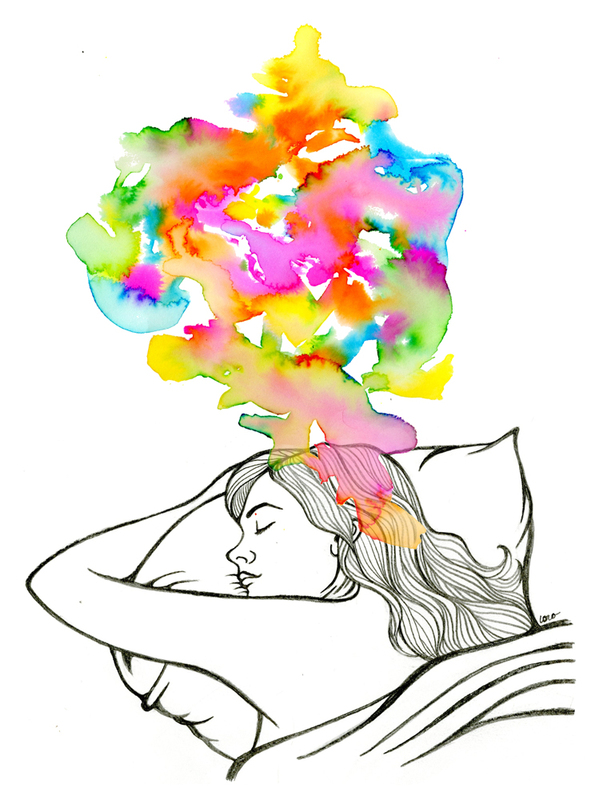 During REM sleep, there is usually little control over what we dream about, as dreams are usually a result of spontaneous thought rather than deliberate processing (Windt and Voss, 2018). While a healthy participant is able to give informed consent prior to the start of the recording, once the participant has fallen asleep they would be unable to communicate with others during the recording and would no longer have control over what the researchers conducting the procedure can access or observe. Continued informed consent would be difficult to maintain, which will become more important as technology advances and more personal information could potentially be analyzed from the neural recordings. With this technology also comes unprecedented privacy concerns. 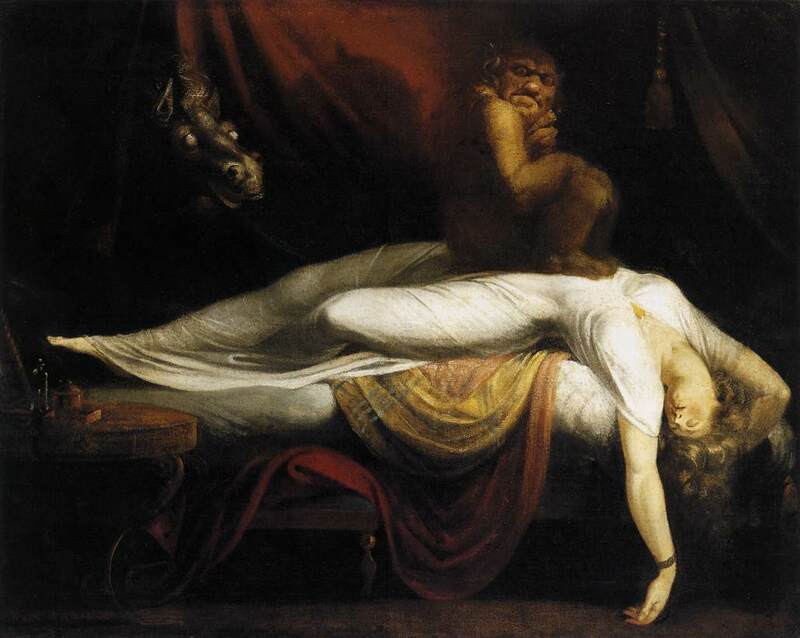 Although the reason why we dream is unclear, some researchers theorize that dreams may be a mechanism to process emotional events, or they may be an abstraction of one’s psychological state (Lemonick, 2004). If these theories are correct, dream recordings would carry highly personal information that could greatly impact an individual’s life, if shared with third parties. If similar to other forms of neuroimaging data, an analysis of one’s dream activity could impact their career, insurance policy, or personal relationships, depending on what could be constructed about their daily life or personality characteristics using the neural activity recordings (Farah, 2015). Recordings could potentially be used in a court setting if this technology is seen as beneficial in determining a suspect’s intent, or to determine whether a witness or suspect is fit to stand trial based on their psychological state. Fuseli, Henry. The Nightmare. c. 1781. Detroit Institute of Art, Detroit. To protect dreams and therefore one’s privacy in the future, policies regarding the usage and rights of neural activity recordings need to be enacted before the technology is available. Participants would need to be fully informed about the recording process, who owns these recordings and how they may be used in the future. 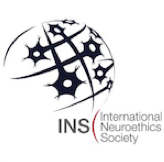 Dream recording is not the only area of neuroscience that could benefit from such defined policies; in today’s neuroethical discussions, there are growing concerns over the rights and privacy of data collected from functional magnetic resonance imaging (fMRI), positron emission tomography (PET) scans, transcranial magnetic stimulation (TMS) scans and deep brain stimulation (DBS). Once specific expectations regarding this type of technology have been set, participants in dream recording studies should be able to sleep more soundly knowing their dreams are in good hands. I am a senior at Emory double majoring in neuroscience and behavioral biology and dance and movement studies. After graduating this spring, I plan on participating in a post-baccalaureate program and applying to MD/PhD programs. Koch, C. (2018). What Is Consciousness? Nature,557, S9-S12. Lemonick, M. (2004). Why Do We Dream? Time International,163(10), 44-44.